The brow is thick and are overly concentrated at the begin brow, at the same time are too close to the eyes, it will give a frowning effect. 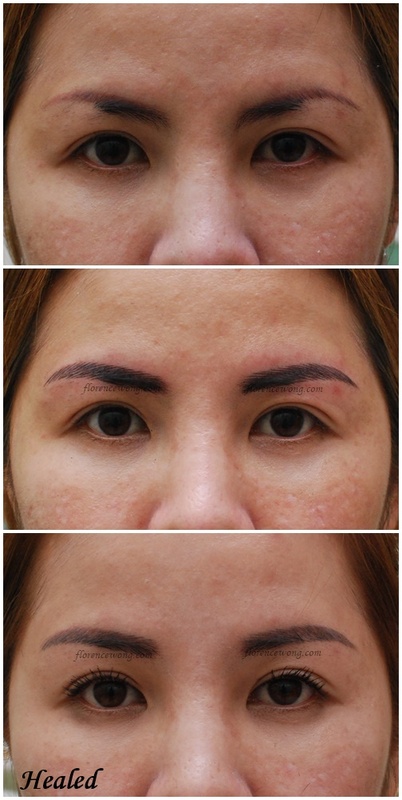 Let both the brow begins to have some space from eyes and it will look perfect. 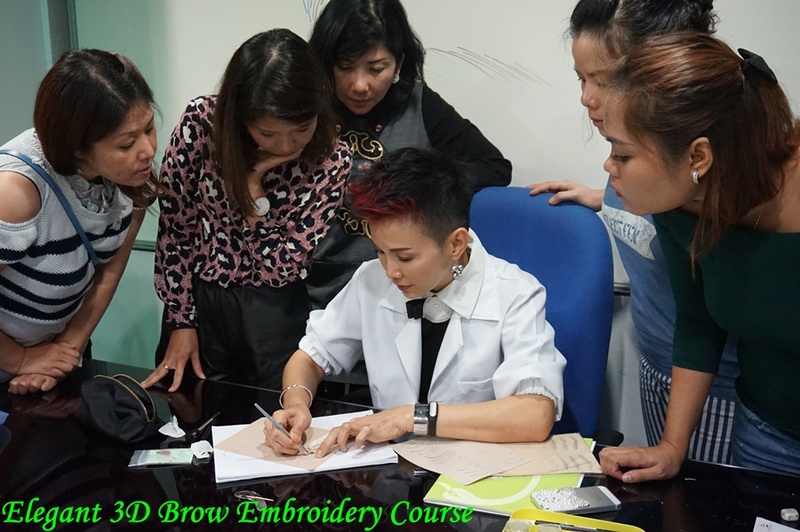 I’m glad to announce that student from Sydney, Australia already registered individual class for my Elegant 3D Brow Embroidery Course which will be starting on 10th August 2015. Serious scarce brow. 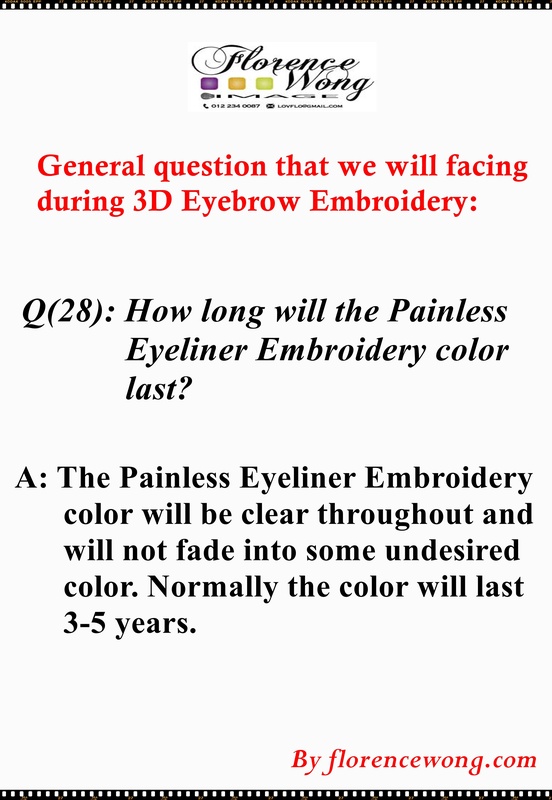 We Will advise to use lighter color for first timer so phycological easier for them to accept. Darker color can be used during touch up when the client has adapted to the sudden change. 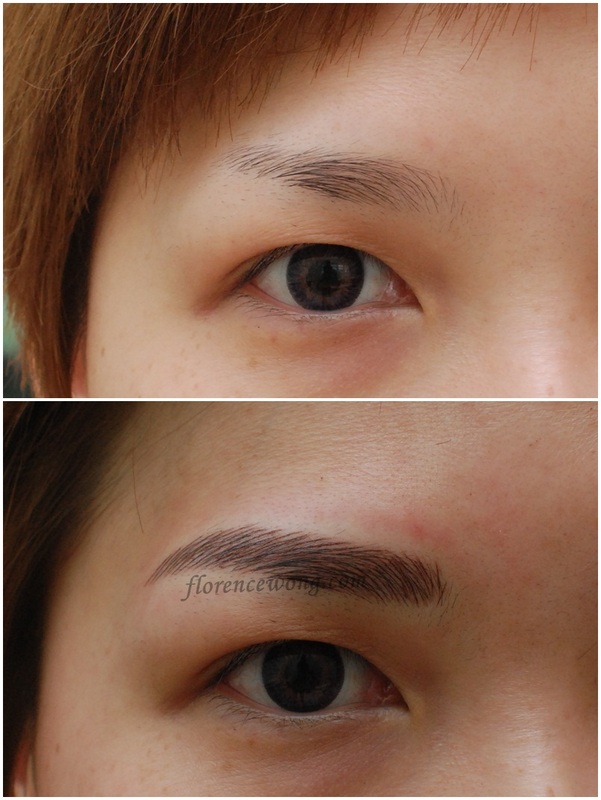 Scarce brow due to excessive plucking or shaving and this causes distanced brow begins. 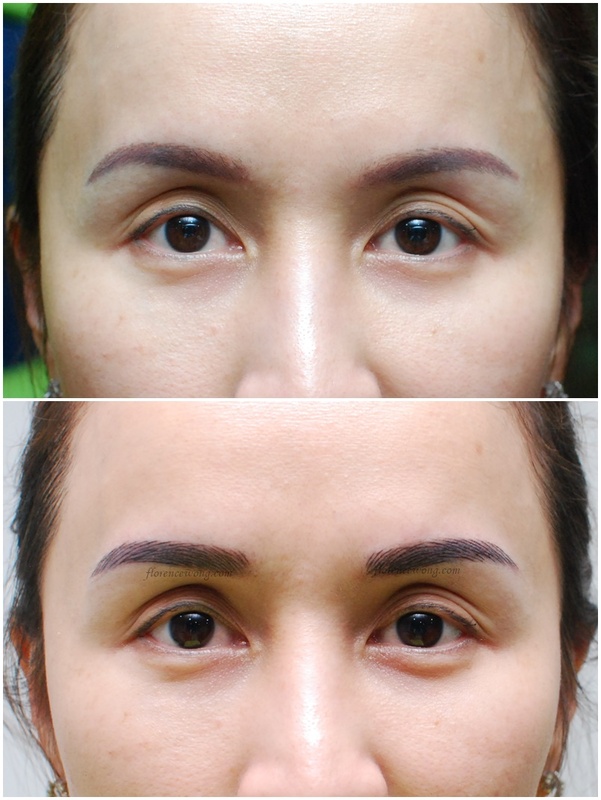 The effect of choosing the right brow color that matches her natural brow makes it looks natural. 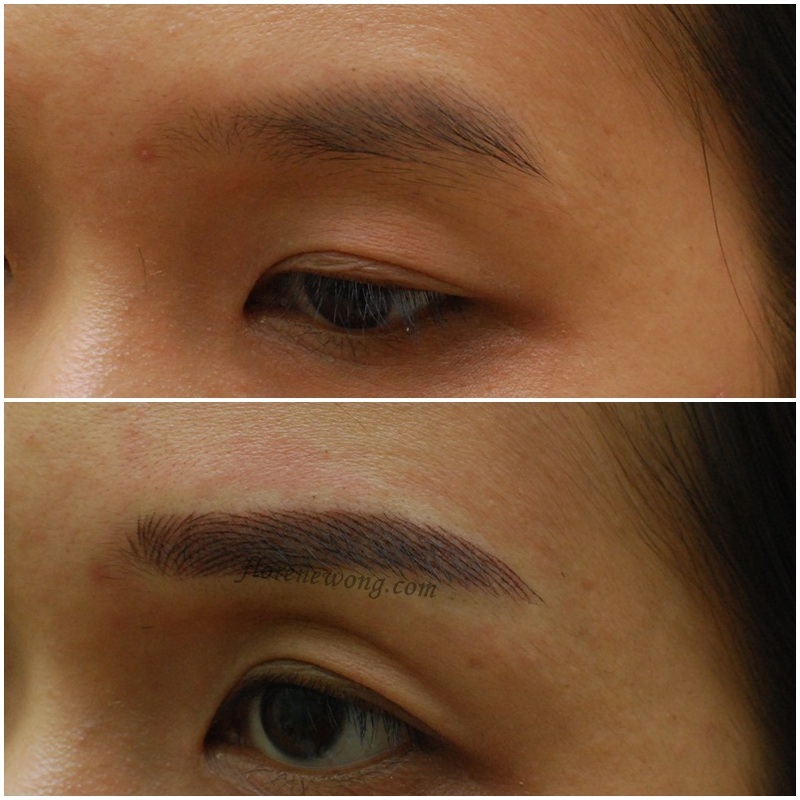 If the earlier tattooed brow color is deep, the only way to conceal the tattoo is to use darker color and re-design her brow. 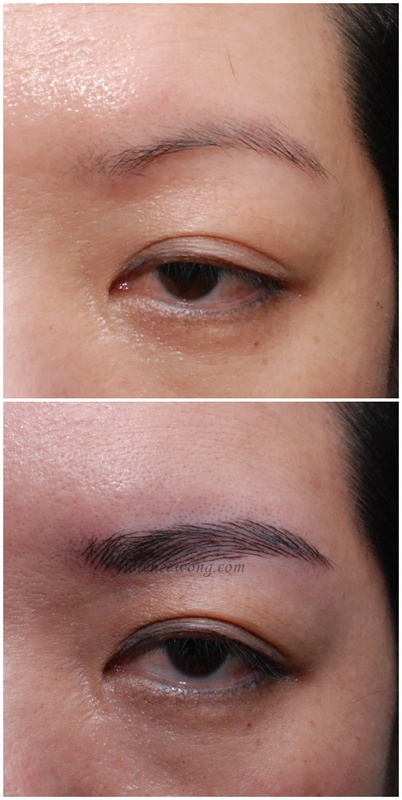 A not well defined brow needs a matching color and design. Her Brow is very well defined except for the length of the brow. 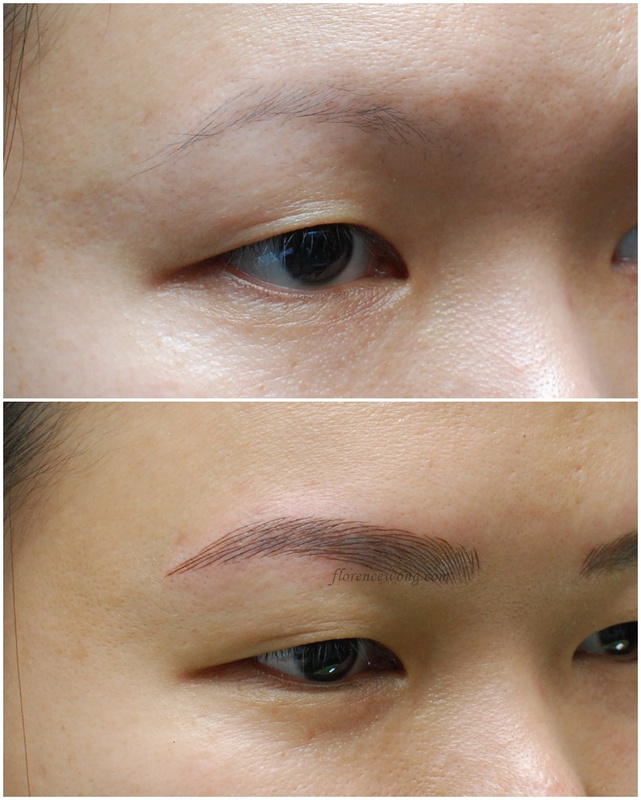 Design the brow hair stroke that matches her natural brow will produce a very nice result.